Designer Eric Solé. Eric Solé’s interest in lighting design combines his interest in new materials with the beauty of light and illumination. Organic shapes and natural objects inspired the undulating curves of the Mesmeri. When lit, Solé hopes Mesmeri will remind us of the ‘magic’ of light in illuminating rooms and bringing comfort to dark spaces. Designer Rodolfo Dordoni. 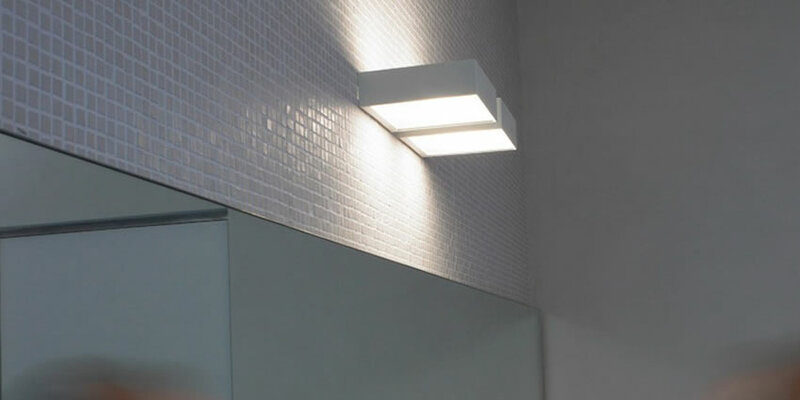 Wall lamp with direct / indirect light. Body in die-cast zamak alloy, liquid painted in matt gray, glossy white or galvanized chrome finish. Designer Neil Poulton. Body aluminum painted. Applique with refined and focused line. 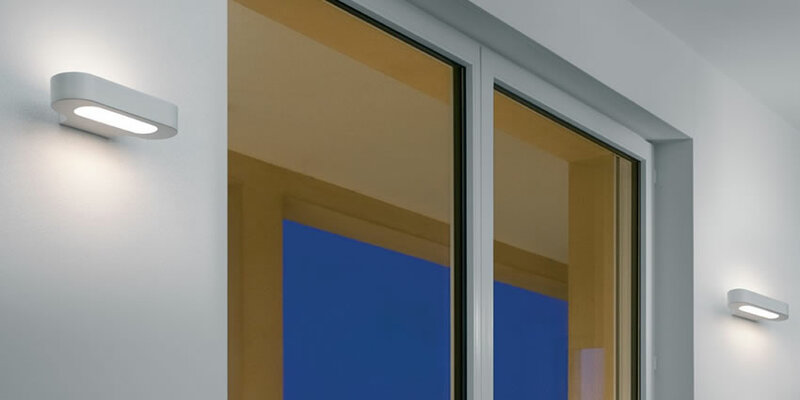 Suits perfectly in all environments of the house and gives a double light emission: upwards and downwards. Designer Paolo Zani. 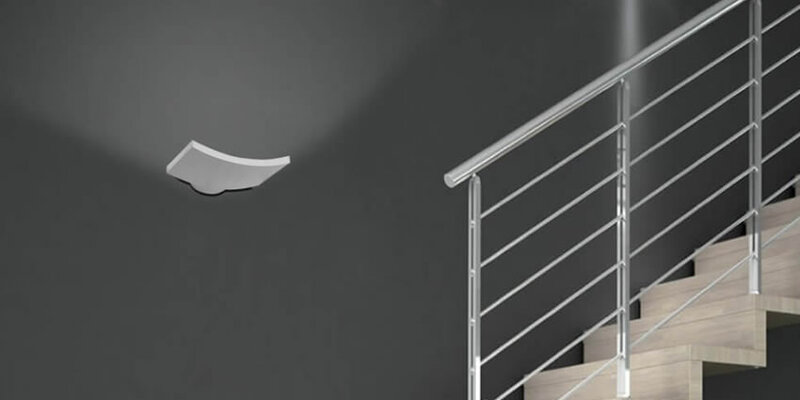 Applique with a linear and essential design composed of a metal band and sanded tempered glass diffusers. Light emission downwards and upwards. A minimal, almost unobstrusive design to be integrated into any architectural setting. Materials: die-cast painted aluminium. Designer Foster + Partners. The Flo range of lights is the result of Foster + Partners first collaboration with specialist Italian lighting manufacturer, Lumina. 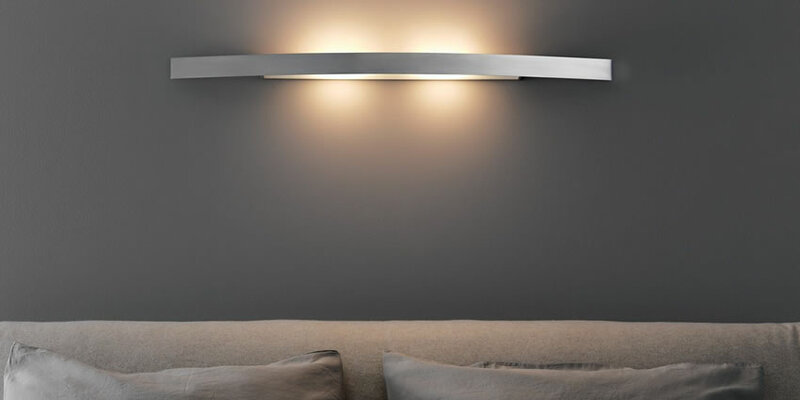 This minimal light integrates the latest dimmable LED technology within a streamlined, curving form. The cold-formed head and slender aluminium frame are balanced by a circular steel base and a delicate profile is created by eliminating superfluous moving parts, such as coils and springs. 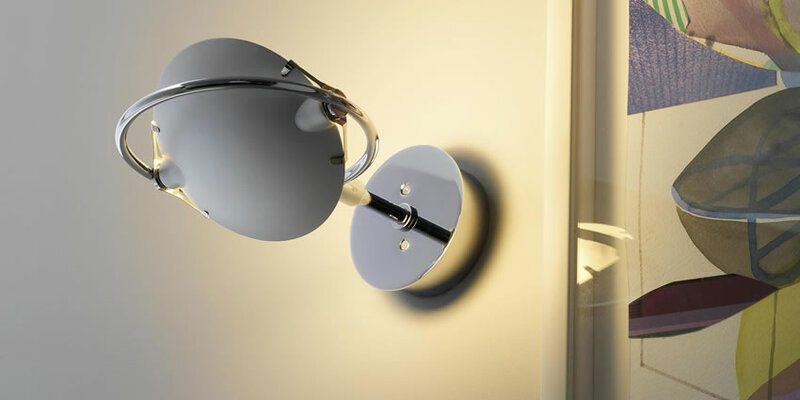 Wall LED lamp in varnish coated aluminium and steel. Its head rotates by 300° for direct lighting, arms pivot by 180°. 3W LED, which you can switch on with one click for full light intensity, with two clicks for half light intensity. 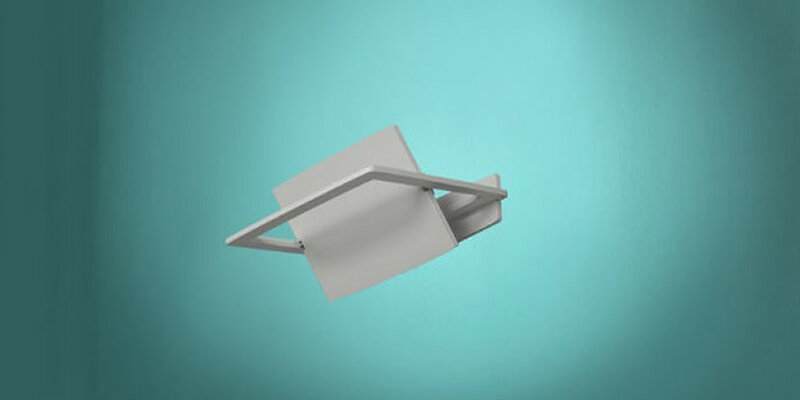 Cantilevered arms in polished aluminium; diffuser in matt anodised aluminium; joints and wall support in polished aluminium. System of spring balancing. 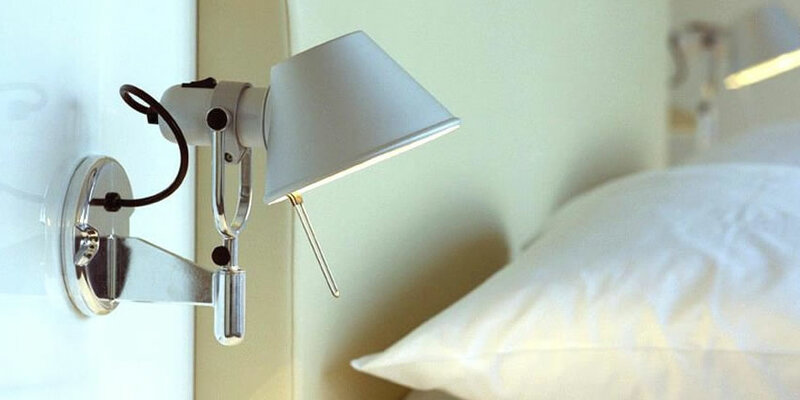 Mira Switch is a wall lamp, adjustable, metal, created by Omar Carraglia for the Italian company Davide Groppi. 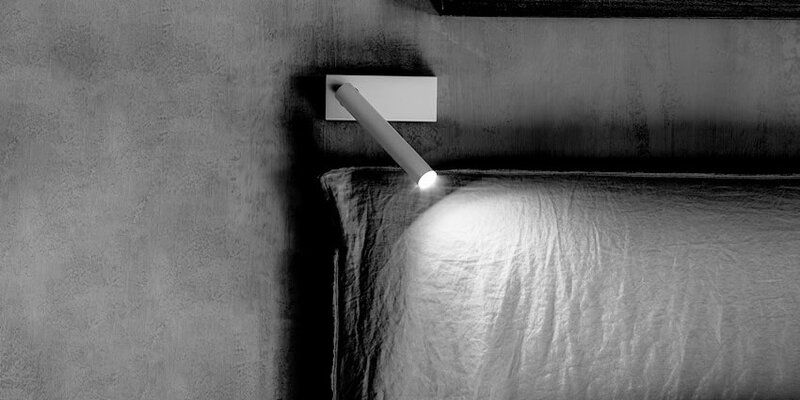 Mira is a collection of lamps that includes several wall models. All lamps of Mira collection are absolutely unique and essential, a thin wall light gun to take aim and illuminate everywhere you want. Designer Ufficio tecnico Oceano Oltreluce. Body in painted die-cast aluminum. 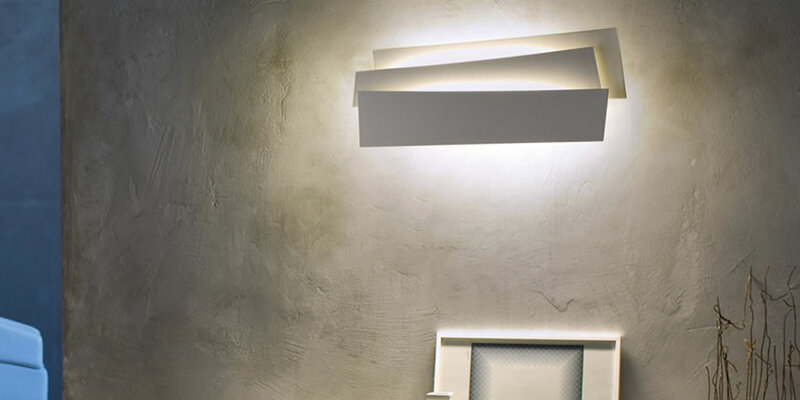 A compact wall light, with a refined and essential line. It adapts perfectly to all rooms of the house and gives an adjustable light thanks to the possibility of rotation at 345 ° of the reflector. 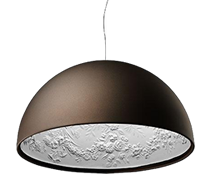 Designer Metis Lighting. Nobi guarantees maximum functionality with an innovative and elegant design. The two concave concave glasses are held in place by a system of small springs and fixed to the metal structure with two pins. 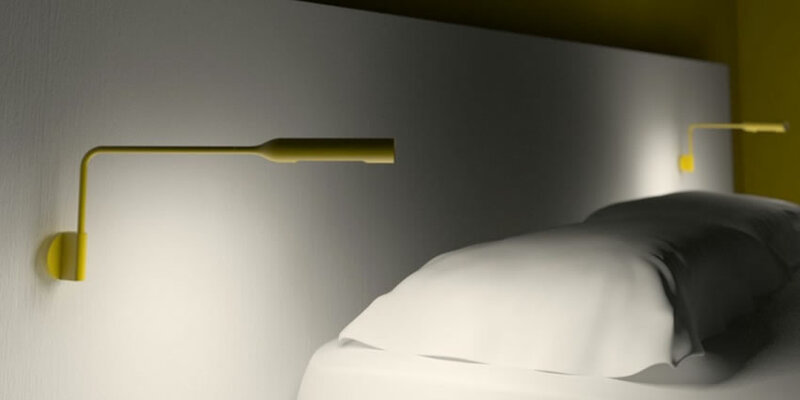 The diffuser can thus rotate on itself and direct the luminous flux in the desired direction. 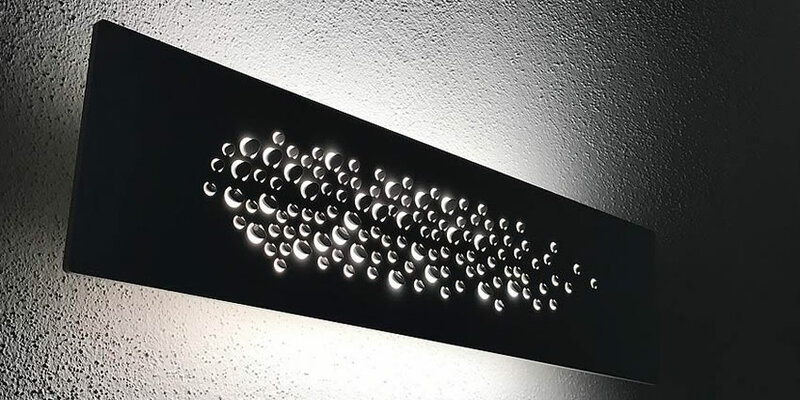 Consisting of three overlapping bands, the Innerlight lamp is a wall sculpture that brings to life lights and shadows when switched on. 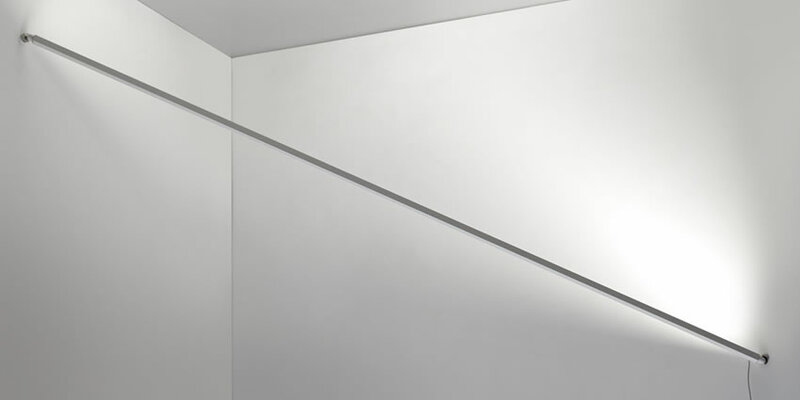 The beam of light bounces onto the wall, emphasising the contours and defining the shape of the lamp, inspired by the sculptures of Richard Serra. Designer BIG Bjarke Ingels Group. Alphabet of light is a language of light to communicate freely, it is an elementary principle that generates an open system. Starting from an abacus of essential geometric elements, BIG draws a new font that translates into light, an alphabet with which to write and express thoughts, an instrument for modeling spaces. 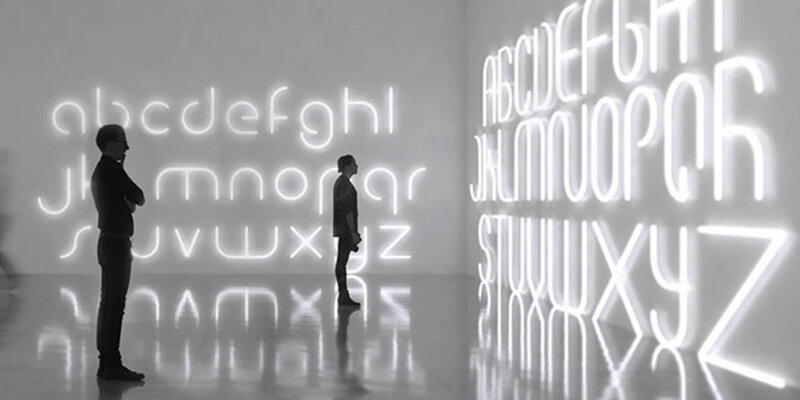 Alphabet of light allows you to draw light not only with words but also with graphic signs. Two linear elements of different lengths and two round ones are flanked by the system of letters, numbers and symbols. The circular element, available in two diameters, is divided into modules that allow the linear elements to be joined according to different angles by drawing different geometries. These simple basic modules, with precise geometric proportions, can be combined with each other, creating infinite light structures, essential or more complex, linear or curvilinear, defining suspensions that enter the space following the architecture or the functionality of the spaces. 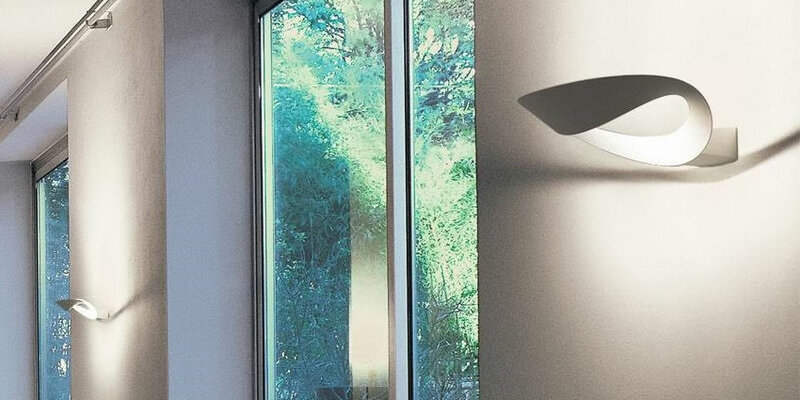 The idea of ​​BIG is combined with the optoelectronic expertise of Artemide to define an innovative construction principle and return a continuous and comfortable light. It is a minimal presence that contains a very high patented optoelectronic and mechanical innovation. Designer Davide Groppi, Alberto Zattin. Toast by Alberto Zattin for Davide Groppi is a wall lamp made of metal and glass. 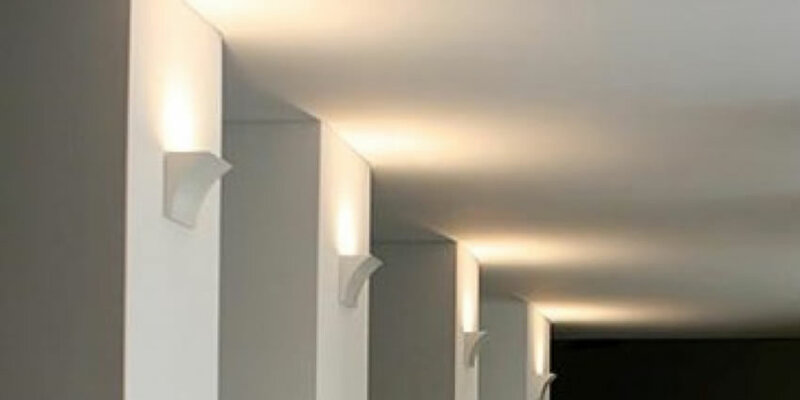 Our wall lamp program is designed to offer light as a service. Prisms, volumes, pure elements, that live in any kind of space. Designer Mikko Lakkonen. Islet is an elementary applique in the form but poetic in the effect of light that characterizes it. Its surface comes alive through the rays of light that emerge from the cuts on the front of its structure. Many small holes created through the fold of the sheet let out the light and reflect on the small wings that the fold of the material creates. The surfaces multiply the reflections by diffusing the light and make the perception variable depending on the point of view, hiding or framing the area of ​​the holes made bright by the opaline that shields the direct view of the LED sources. The opal also closes the upper and lower sides to better spread the light without creating glare.